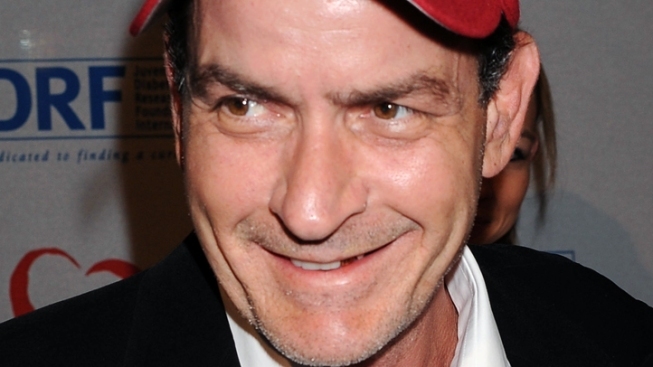 2011 has been quite a year for Charlie Sheen – and it could get even more interesting Sunday night. The 46-year-old star, who was fired from “Two and a Half Men” amid a spiral filled with tiger blood earlier this year, is now expected to present at the Emmy Awards Sunday night, according to The Hollywood Reporter. Few details have emerged about the appearance, which would keep the much-maligned actor on a trajectory resembling a comeback, after his comedy tour largely bombed. Pre-Emmy parties have been buzzing about Sheen showing up at the Emmys, and its producers identified him early on as a “dream get” for their show, Deadline.com reports. If you tune in Sunday, you can also expect a medley of songs from The Lonely Island, the group headed by Andy Samberg of “Saturday Night Live” that has produced such viral hits as “Mother Lover,” The Hollywood Reporter says. Ed Helms from “The Office” and Maya Rudolph of “Up All Night” will also appear. And, in one last bit of pre-Emmy news, Aaron Sorkin broke his nose when he accidentally head-butted himself while working on dialogue in the mirror, the Los Angeles Times reports. “The West Wing” creator showed up to the Emmys’ performance nominees' reception Friday sporting quite a gash. Check the Entertainment section of this NBC site for full, live Emmys coverage Sunday night.